As Christians (or “Messianic Gentiles” if you prefer), we have our own ideas of how God’s covenant promises to Abraham, Isaac, and Jacob somehow play in to attaching the non-Jewish people groups of the world to the God of Israel. It’s true that we disagree on many of the specifics of the New Covenant and how faith in the accomplished work of Messiah grafts us into the root, and we argue about those opinions day and night, typically by blogging. Every so often, we employ the classic Jewish writings, not those found in the Bible, but those written afterward, sometimes many centuries afterward, to somehow prove our point. We conveniently forget that these Jewish sages and teachers would not have said or done anything they thought might give credence to the idea that the “founder of the Christian religion,” that is to say “Jesus” (Yeshua) could possibly be the Messiah, let alone of a Divine nature. However, I believe that only by viewing the Bible through a “Jewish lens” and reading the sacred writings in as close an approximation as possible to how the original audience would have understood them, will we ever come close to capturing the true intent of not only the human writers, but of the Holy Spirit that inspired them. Thus, when I read Rabbi Amiel’s commentaries, which include his insights as to just how the rest of the world was supposed to be attracted to the God of Israel, I become interested. One caveat, though. We can’t read too much into these commentaries for, as I said above, R. Amiel and the sources he quotes would not be considering Jesus in any favorable light, given the long history of enmity that existed between our two faith groups. Nevertheless,I think by examining the Jewish perception of drawing the Gentiles near, we might gain some insights into how we Gentiles might better approach Hashem, God of the Hebrews. Of course in Abraham’s day, Judaism, as such, did not exist. Abraham is noteworthy for coming to faith in the One God of all and acknowledging Him as his personal God. We do know from the Bible and midrash, that Abraham did “make souls” or taught his servants and others the ways of God, but would these people have “converted” to anything and if so, what? …Thus, the converts whom we are to attract through our exile among the nations are not formal converts — for “converts are as troublesome for Israel as is a skin affliction.” The converts referred to by the Rabbis are persons who are influenced in varying degrees by our sublime fragrance. With the caveat I mentioned above in mind, how can we compare this to the actual result of the people of the nations being drawn to the God of Israel in the days of Messiah and afterward? Seemingly, there is a parallel between R. Amiel’s interpretation of the “mission of Abraham” to the nations and the mission to the Gentiles initiated by Yeshua and acted upon by Paul, James, and the Apostles. There’s a conversion without a conversion happening. 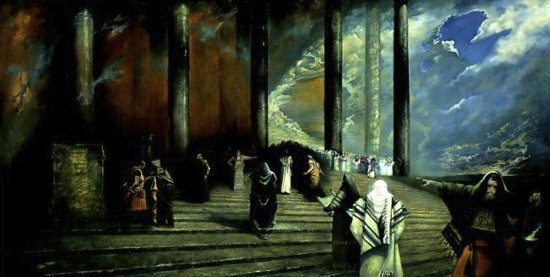 Gentiles are added to the ranks of the ekklesia of Messiah without any formal conversion such as was typical of the proselyte rite in the late Second Temple period. But how does R. Amiel and the Judaism he represents imagine this was to be done? Certainly not in the matter that the Christian believes. “‘And I will make you into a great nation’ — therefore we say ‘God of Abraham.’ ‘And I will bless you’ — therefore we say ‘God of Isaac.’ ‘And I will make your name famous’ — therefore we say ‘God of Jacob.’ Are we then to conclude [the first blessing of the Amidah prayer] with all three? The verse specifies, ‘And you will be a blessing’ — we conclude with ‘you’ (singular), not with all three. Not only do the world’s three major faiths, our holy faith and those of the Christians and the Moslems, base themselves theologically upon our Holy Torah. Not only do they draw life-giving waters from our fountainhead, they also relate to us genealogically. You may be aware that Abraham fathered both Ishmael, who became the father of the Arabs and is claimed by Islam, and Isaac, who, through his son Jacob, became the scion of the twelve tribes and finally the Jewish people. But how do Christians derive a genealogical connection to Abraham? Esau, as you may have read, is Edom, a people who are thought to be the distant ancestors of the Romans, these are the Gentile nations from R. Amiel’s point of view, and thus the Christians, since Christians, by definition, are not Jewish (if that statement makes you uncomfortable when you think of “Hebrew Christians,” remember the Rav’s perspective on the matter is thoroughly Jewish and not easily adapted to Christianity’s framework of conceptualization). But wait a minute. If both Islam and Christianity can be considered in some manner as physical descendants of Abraham, do we Christians then inherit all of the promises God made to Abraham including possession of the Land of Israel? Now Abraham gave all that he had to Isaac; but to the sons of his concubines, Abraham gave gifts while he was still living, and sent them away from his son Isaac eastward, to the land of the east. It is only through Isaac that the promises of God are carried on to the next generation and beyond, not through Ishmael or any of Abraham’s other children. Furthermore, of Isaac’s sons, only Jacob inherits both the birthright and the blessing of the first-born. Thus as we see in Tractate Pesachim, it is only through Abraham and through Isaac, and through Jacob that all of God’s promises are carried out. It is true that based on the commentary, we can consider Abraham the father to other nations, physically the Arab people, and midrashically the Christians, but that makes neither people or religion Jewish. As I said, the Rav isn’t going to take any Christian innovations regarding Biblical interpretation into account, so it would be easy to discount his comment above based on that. On the other hand, I think there’s some merit to the idea that, by viewing the Bible a bit more “Judaically,” we can get a more accurate picture not only of how Judaism sees the final resolution of the Gentiles to God, but perhaps how the original Jewish writers of the Bible saw this conclusion of human history. 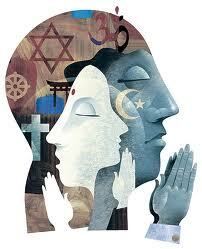 For me, this does re-enforce my currently held belief that the peoples of all the nations remain distinct national groups differentiated from Israel and from each other, and yet all drawn to One God and One place, the Temple, to worship Him in the “House of Prayer for all peoples”. I’ve said before that it is at least plausible to consider that when the Master issued his Matthew 28:19-20 directive, the Apostles likely believed they would comply by employing the traditional proselyte rite, bringing the Gentiles into discipleship by converting them to Judaism. This, though, violates prophesy as R. Amiel has pointed out. It is clear that the Gentiles were to be drawn near to God as Gentiles. 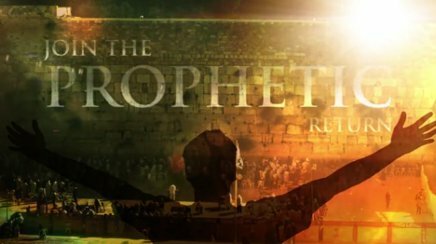 The Apostle Paul was the one to see this most clearly, but how does Judaism see it standing on the outside of the Apostolic Scriptures and looking in, so to speak? This is the Rav’s explanation for how Christianity “morphed” into its own, separate religious expression. 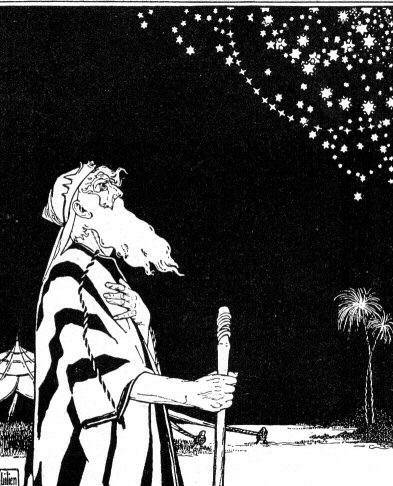 Like the ancient Apostles, he believes the proper way to fulfill the prophesies is to convert Gentiles into Judaism, making Abraham’s descendants as numerous than the stars (Genesis 15:5). But this contradicts his view that the people of the nations will draw near to God as people of the nations and not as proselytes. R. Amiel’s only apparent option within his contextual framework, is to have the Gentiles “convert” in the sense of becoming Noahides, righteous Gentiles, which would satisfy the requirement of them retaining their national identity while still honoring the One God of Israel. My respectful response to the esteemed Rav is “yes and no.” I agree that we Gentile believers are not Israel and yet, we are not to be compared to the generic nations of the earth. Even if those nations comply with the Noahide Laws, that doesn’t provide those of us who are grafted in to the root through our faith in Messiah access to the New Covenant blessings. This is something that Rabbi Amiel could not anticipate, but we can. We can take what is valuable from the esteemed and honored sages, and in this case, look at it through a New Covenant lens in order to glean what is of value there. All people, Jewish and non-Jewish, come with blind spots that can only be clarified through the Spirit of God. I suppose God could just re-write our programming and the entire world could wake up one morning all declaring faith in Christ and him crucified, but that’s not God’s plan. It would be easier if it were, but God left human free will intact. We have to be willing to hear the messages of the Gospel, and having heard them, we have to be willing to believe and then act on that belief. The call of the Master is like hearing a knock on your front door. Is it a thief or a benefactor? We won’t know until we open the door, but if we’re wrong, then it’s too late to save ourselves of any threat that might enter. But if we take the risk and open the door, he will come in and with him…freedom. May we all meet together one day on the Mountain of God, and may we join in prayer in His House. Previous PostRelative RighteousnessNext PostWhat Does God Want From Gay People? James I live the Ideological convert stated by R’ Avigdor! This puts the “Great Commission” in proper perspective. I used to work for a great Veterinary Orthopedic Doctor. I was his disciple for a couple of years. I learned in great detail about the pathophisiology of canines, how good work with the lower vertebral aspect. I went on to work for other doctors, speaking about these great advances in k-9 orthopedics. I am not a doctor myself, but he made me an ideological convert. I made other ideological converts to these practices myself. My point is, Jesus never commanded his disciples (Jewish men) to go out and make in essence Jewish converts. But I do believe they are told to make ideological converts to the way of Messiah. It’s a conversion in thought processes, that says.Jesus makes all things new, and now I (Gentile Joe) am new and NEWLY attached to this peculiar nation. He wasn’t teaching a conversion to the Kingdom of Torah, but to the Kingdom of G-d which is made up of the Jewish Nation and Nations of the world. Thanks for the comments, Tony. This is exactly why I believe we can’t understand what our faith in Messiah is supposed to mean unless we study that faith within a Jewish or “Judaically-aware” context such as Messianic Judaism. It’s the difference between understanding the Bible as a faded, black and white still photograph and a vibrant 3D Technicolor movie. My Review of the latest (for me) sermon in Lancaster’s “Holy Epistle to the Hebrews” series which I’ll publish on Wednesday illustrates this as well. @Tony Linn: One problem with this is that Judaism was not about ideology like the Greeks, but about concrete practice. I suspect that the directive to the disciples to teach all they had been taught was not about philosophy. @James: This is what I have been thinking. If we jettison evangelical theology and historic Christian interpretation (rather than seeking to tweak it) and start from scratch, seeking to understand the mindset of the first century and prior, this is something where some among Jews and Christians are moving in a convergent direction. Gentiles learned in the synagogues in the first century and even beyond to some extent, prior to the efforts of the Jew-hating church fathers culminating in the Christian empire. I am not sure what to think. A local megachurch has decided to follow the moed (except Shabbat, of course.) But I doubt if they have done any research or the leadership has sought the counsel of local rabbis. Should I see it as positive and moving in a good direction, at least in the direction of viewing, “Jewish stuff,” positively? Or, should I see that they are taking the superficial aspects of a moed, such as blowing shofars, dancing and having a party and using this as a jumping off point to solidify pre-trib rapture fever, rather than bothering to examine the deeper meanings of the moed? Is the “Jewish lens” you want to utilise relate to the “ Jewish lens” of Paul and the early apostles who recognised Jesus as the Messiah, or is it more related to the “lens” that opposed the gospel teachings of Paul and the other apostles and made things very difficult for them? Can the “Jewish lens” you refer to even come close to giving the same view Jews had 2000 years (and more) ago? Has it remained any more consistent for all of those 2000 years than the “Christian lens” that originated with the early Jewish followers of Jesus? If nothing else that Jewish lens has been altered by the unfortunate reality of what has been done to Jews over that time by an apostate “church”. I suspect the, “Jewish lens,” is not as narrow as the Christian one, as it incorporates a body of literature via numerous sages ancient and modern. I don’t believe any paradigm changing work examining the first century writings from this perspective has been undertaken. There are a few scholarly efforts and some poor quality popular works that rehash older offerings. @Onesimous, what you label, “an apostate church,” is the church. Read any good book about antisemitism and you will discover that there were a few apostates that didn’t go along with the Jew-hating and persecution of the normative church (Catholic/Orthodox/Protestant.) I know that is a difficult pill to swallow, and the narrative is, “They weren’t true Christians.” Part and parcel of being a Christian meant rejecting and despising all things Jewish. Yes, the Jewish community has engaged in polemics of defining itself by opposition to Christian practices and beliefs. Even among Judeophilic groups, I don’t think most are ready to open that can of worms. @”O” — By the very nature of the notion, a “Jewish lens” through which to read Jewish literature, such as the Tenakh and the apostolic writings, is not precisely defined. But the answer to your questions about what sorts of attitudes are represented in it vis-à-vis Rav Yeshua messianism is that it is comprehensive of both the positive *and* the negative Jewish attitudes. It tends to sharpen our focus on both, and it becomes our responsibility to sift the information thus provided to make the same sorts of choices as were made even in the first century — which saw not only rejection of Rav Yeshua but also thousands upon thousands of Jewish Rav Yeshua messianists in the Jerusalem are alone who were zealous to pursue obedience and understanding of Torah. The lens to which James refers here is not a device existing consistently or inconsistently throughout the past 20 centuries. It is a metaphor for a modern perspective that has been developing within the past half century with the help of archeology, the analysis of DSS texts, and the rise of a new perspective (even a “radical new perspective” with respect to “Paul”). This modern perspective is an effort to recapture and reconstruct an ancient one, using the above tools along with analysis of the same Jewish literatures and folklores which shaped the first-century milieu in which Rav Yeshua and his Jewish disciples formulated their messages. It further projects backward from later Jewish literature which also was shaped by the same sources. It considers how real human beings used the tools of their culture to respond to real historical events. Can this modern analysis truly provide an accurate view of Rav Yeshua’s Jewish perspective and that of his disciples 20 centuries ago? At present, one can only assert with confidence that it is better than any previous analysis that ever may have been attempted — and one may note how rarely any such attempt has been made — and that it is still developing and improving. There is no comparable “Christian lens” originating with early Jewish disciples, because they were not “Christians” by any of the traditional definitions invented later by gentiles, nor did these disciples follow or invent a “Christianity”. That arose as a later post-Nicene invention and anachronistic re-writing of history. But the most important questions are about how we shall respond to an improved appreciation of the historical Jewish characteristics of Rav Yeshua’s message. Will we incorporate into our own values and behavior the attitudes of his sermon to Jews on a Galilean hillside as reported in Mt.5? Will we seek the kingdom of heaven and its definition of righteousness as a primary pursuit in our lives? Will we seek diligently to understand the implications of Torah upon our personal circumstances in order to pursue “greatness” within that kingdom perspective? Will we position ourselves politically as friends to Jews and to Israel, or as enemies? Will we seek amity or animosity? Will we focus on our differences or our areas of agreement? Will we defend or decry? A part of the Sukkot festival just completed was the celebration of Hosha-na Rabba, which in Temple ritual included a ceremony of pouring out water representing HaShem’s blessing of rain upon the earth and symbolizing also Israel’s outpouring of blessings received from HaShem upon all those among the nations who would receive them. Space here will not suffice to discuss the symbolic connections between the palm branches of Sukkot, and its outcry of “Hosha-na”, and the associated messianic expectations which impelled the crowds to re-enact them when Rav Yeshua rode symbolically into Jerusalem before his last Passover; but suffice it to say that there are still more blessings that Jews will pour out insofar as we are permitted to do so, upon all those who have the good will to cooperate. @ Chaya, I don’t know where you think or get the idea that Christianity is forming a marriage with Islam. “Christianity has been idolatrous, despising Jews and Judaism and is in the process of forming a marriage with the descendents of Ishmael, Muslims (who are not all descendants but also those conquered by them. )” Everyone has been guilty of idolatry in their life. Don’t be so quick to judge Christianity based the actions of some. Most Christians don’t despise Jewish people. I know Jewish people, most being Reform, that have despised Jesus to my face, and then turn around and say that G-d and the acts given in the Torah never happened. Please don’t lay blanket judgements on the Church. @Chaya: I think we’ve all been tempted to try to replicate first century CE Messianic practice, but that has a couple of problems. The first is that there are gaps in our information so we won’t be able to duplicate it, and second, two-thousand years have passed and the conditions and circumstances now aren’t what they were then. At least some of their practice back then was a product of culture and local circumstance. I don’t know that we can throw the baby out with the bathwater by deleting twenty centuries of Jewish and Christian history. You won’t be able to remove the history of religious practice and thought from anyone’s mind, so you if any given individual wants to explore another avenue, they’ll have to progress in steps rather than pushing the reset button. @Onesimus: As I mentioned to Chaya, you’ll never be able to completely recreate the environment and circumstances in which Paul lived, much as that might seem desirable. We have to start from where we are now and use the tools available to us, which starts with prayer and the inspiration of the Spirit, to seek out the meaning of the Bible beyond standard Christian doctrine. Messianic Judaism, from my point of view, offers the best synthesis of Jewish thought and Messianic realization in Yeshua that we’ll find currently available. I believe the Spirit of God can tell no other story of Messianic faith besides a Jewish story, because that’s the history we see in the Bible. BTW, I didn’t intend to start a “Christian bashing” session here. While I have been critical of “the Church” (Big C), as I’ve mentioned numerous times in the past, there are many fine and good Christians in many churches all doing the will of God. While we may argue about some of their doctrine, we can’t argue against their love for Messiah and their fellow human being. I’ve seen great acts of kindness and compassion from many Christians, so let’s not dump them all in the garbage pail. @ James getting back to the article, I always have this idscussion with my wife. I see most of my brothers and sisters reading the ancient text narratives of the Gospels as if they were written just yesterday. My discussion with my (I say this as I am discussing it this morning over coffee her sitting right here) is that you have to read it as an ancient text, through an ancient lens. I wonder how preachers can rightly divide the word without understanding the languages, histories, and culture of the 1st century and before. I have also been listening to Lancaster on Hebrews 10…waiting to hear more on your perspective. Next perspective on Hebrews 10 publishes Wednesday morning at 4 a.m. Mountain Time, Tony. @Tony — While I’m sure you’ve seen my previous replies in support of reading the ancient text through an appropriately ancient and Jewish lens, I do need to share the very Israeli perspective that the ancient text can seem as relevant and fresh as if written yesterday, and that looking out over the places within the land where various recorded events happened and where we currently live invokes a feeling that this history is very much a present reality as well. But I suppose this is dependent entirely on how close one is already to the corresponding mindset and physical locale. The more one’s mind has been already adjusted to the source environment and culture, the less the ancient text can be perceived as foreign or strange or remote. Even one that is photo-shopped, so to speak. I haven’t read beyond that post in the comments. I think we need even more than the Jewish context. Judaism seems to pay more attention to all history. I agree with Chaya that “an apostate church” is the Church (and it’s been the apostates of the apostates who go in other directions). And this is still true even while what Tony said is also true, that there are Jews who will reject the Church (or Jesus) AND the factual nature of Torah. Again, “church” is not proper translation for what is in the Apostolic Writings. Nevertheless, there are some wonderful people in church (something that has been established and happened in subsequent history). Conceptually, the Church isn’t promoted in the Bble. It IS a ” bitter pill” and very hard to grasp. Additionally, if one doesn’t know that Onesimus doesn’t promote the writings of church fathers (and instead actively questions and detracts from them) it is easy to misunderstand his hope and intentions in this regard. Quite close to my point PL. 2000 years creates a lot of change. The so called Jewish lens of today is no closer to the Jewish lens of 2,000 years ago than today’s “Christian lens” is to the “lens” of the first followers of Jesus. Thanks Marleen. I definitely don’t promote the writings of “church fathers” or any other anti-Semitic teachings of “church authorities” throughout history, but there is no benefit (or truth) in opposing them with equally ill-informed anti-Christian rhetoric, as if there have been no genuine (gentile) followers of Messiah throughout history. @”O” — In response to: “2000 years creates a lot of change. The so called Jewish lens of today is no closer to the Jewish lens of 2,000 years ago…”. One feature of human, and particularly Jewish, culture that mitigates the changes that accompany the process of history is literature. In Judaism, that literature is coupled with historical perspective and awareness, as well as communal praxis that is designed to reflect it and inculcate it. The changes that occur within Judaism are driven primarily by the necessity of coping with external forces rather than by internal ferment. Hence the changes woven into the Jewish cultural fabric can be traced in our literature, and even unwoven to some degree when required. This is the basis for my point above that a modern Jewish lens can be constructed to clarify Jewish perspective of 20 centuries ago. There is a great deal within the Jewish fabric that remains unchanged from days of yore. This can have its drawbacks, also, but it does offer a particular advantage in the matter of present discussion whereby it is, in fact, possible to approach the first-century Jewish mindset and even to trace the influences of the preceding century or two which contributed to it. But the present quality or clarity of the Jewish lens is perhaps of secondary import compared to the acknowledgement that such a lens is required, and that it is available at all due to the interesting quirk of Jewish culture that it has always been devoted to literature and history. Before the Church got it’s footings, there were genuine gentile followers of the Messiah (not of the Church and not in the Church). Even so, there have been and are genuine believers in the Church too. In many ways, the Israelites did not change all that much from when they entered Israel to the Advent of Mashiach Yehoshua. Except that they had become less tribal, and thus more nationalistic, the Israelites (all the Tribes), and then Judah, primarily inhabited the cities, towns, villages and farms in a very simple manner. Judaism as a practice of religion was a good deal less codified than we know it now…the Synagogues were always a place to discuss the Tanakh as it accumulated beyond Torah, to pray, and to understand the layers of Written Scripture from the more well learned Rabbi’s, and the Judges in the Gates of the towns and cities discussed and implemented civic judgement and settled quarrels. The Mo’edim structured the seasons and the years, and people lived very closely to nature as it affected whether they would live well or starve, and had to be able to defend themselves from the onslaughts of all the other nations that used Israel as a crossroads and a battlefield. The Tabernacle, and then the Temple remained the spiritual heart of the entire community. We do not see that now…we see Israel as a modern City, and most Jews through an accumulation of legal decisions and commentary on how to be live what is rather plainly written in the Torah in a very ritualized manner that informs us as to the Jewish people as they are now, but not to the Tanakh as it was first given. To look at the whole of the Scriptures from a more simplistic, home and Synagogue centered life of the first 1500 years of Judaism is actually easier than trying to look backwards through the Rabbinic changes in halakah, and focus on what Israel did and what G-d did in response as our study, and then focus on Yehoshua as our Rabbi, and become His talmudim, as He instructed His Apostles to make of all the nations.